March 1 - Russian officials have been forced to deny allegations of plagiarism after the creator of the Misha the Bear claimed that the idea for the polar bear picked as one of the three mascots for the Sochi 2014 Winter Olympics has been stolen from him. The polar bear was chosen, along with a snow leopard and a hare, during a nationally televised programme on Russian television on Saturday (February 26) which attracted 1.4 million votes. 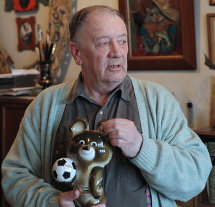 But Viktor Chizhikov, the designer of Misha, the mascot for the 1980 Moscow Olympics, has alleged that the polar bear is replica of his design from more than 30 years ago. "It's exactly the same as mine: the eyes, the nose, the mouth, the smile, though it's askew," Viktor Chizhikov said on Ekho Moskvy radio. "I don't like it when people steal, the author always feels it especially painfully. "They pulled around all the details of my bear. "The eyes are rounded the same way, the nose is a little altered and the smile has the same characteristics." 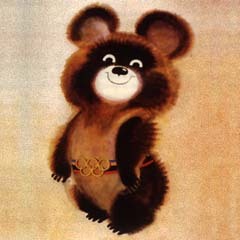 Misha was arguably the best Olympic mascot of all time and remains an enduring symbol of the Moscow Games, which were ruined by a United States-led boycott over the Soviet Union's invasion of Afghanistan. "It is not just a figurine on a table," said Chizhikov (pictured). "My bear was part of 90 per cent of the publicity for the Moscow Olympics. "That is a huge burden and only a good, strong image can withstand it." 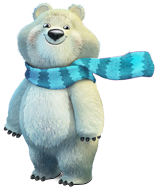 The mascots, which are expected to go on sale later this year, are predicted to earn Sochi 2014 up to $40 million (£26 million) in licensing and copyright fees. 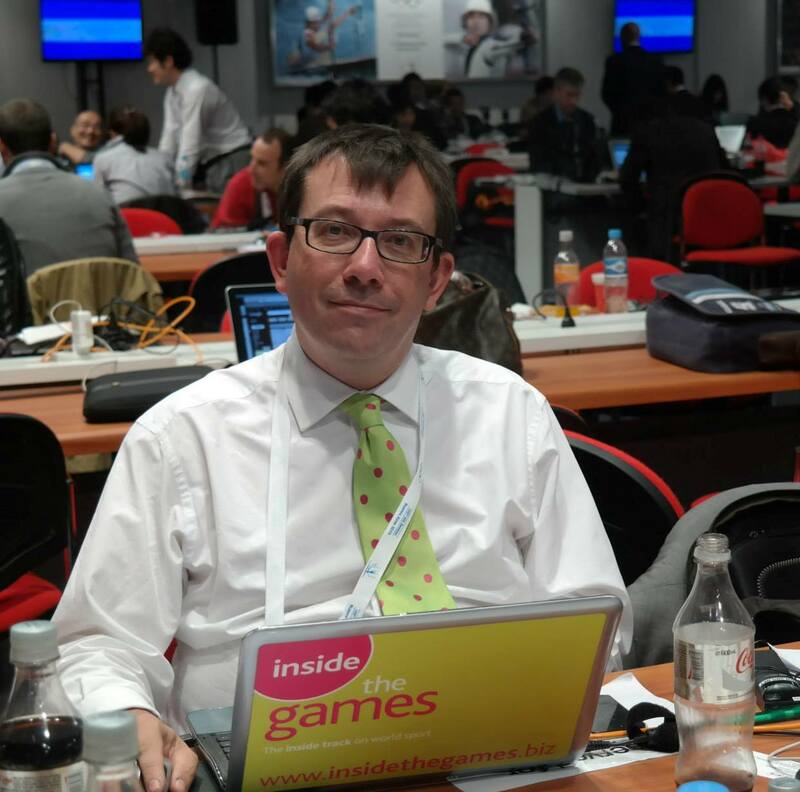 "The mascot in question was specifically designed for the Sochi 2014 Olympic Winter Games mascot competition and was submitted alongside 24,048 ideas received by the Organising Committee," a spokesman for Sochi 2014 told insidethegames. "The polar bear was one of three mascots selected by the Russian people in a public vote in which 1.4 million people participated, with the three mascots collecting 62 per cent of the total votes." The mascots have also found themselves at the centre of a political row with the country's opposition parties claiming that the polar bear was similar to the United Russia's polar bear symbol. Even President Dmitry Medvedev has fanned the flames after that he claimed the mascot voting was unfair, telling officials he hoped a new electronic card project he proposed would be "more fair" than the Olympic mascot vote. The winner of the poll was the leopard which, according to surveys published before the vote was not that popular, but came out on top with 28 per cent of the vote after Russian Prime Minister Vladimir Putin praised it publicly a few hours beforehand by saying how the animal was strong, powerful, fast and beautiful, and highlighted efforts to bring the creature back from the brink of extinction with breeding programmes in the Caucasus. Earlier, red-robed Grandfather Frost, the Russian version of Santa Claus, was disqualified just before the voting because of what the announcer said were concerns Russia could be deprived of a winter holiday symbol once the mascot became Olympic property. At least there was some praise for the mascots from Jean-Claude Killy, the chairman of the International Olympic Committee's Coordination Commission for Sochi. "I would like to congratulate the Russian people and the Sochi 2014 Organising Committee on choosing the hare, polar bear and leopard as mascots," he said. "I have no doubt that this tremendous trio will bring the Games to a whole new generation, helping to promote Sochi 2014 and the Olympic values across Russia and the world."